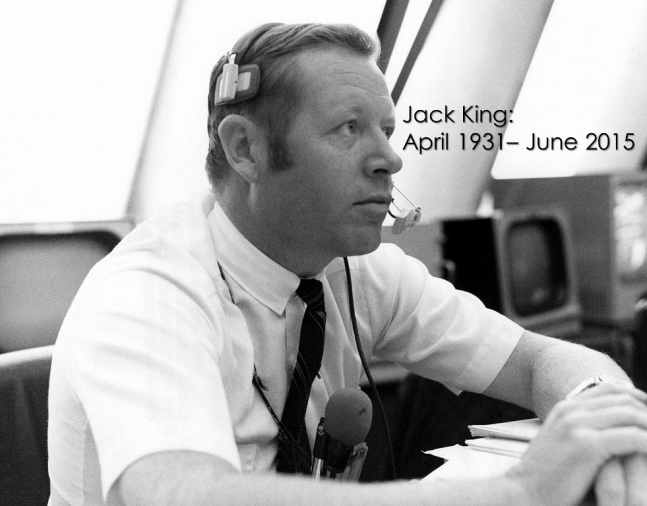 Jack King, the "voice" of NASA's Apollo Program has passed away – he was 84. 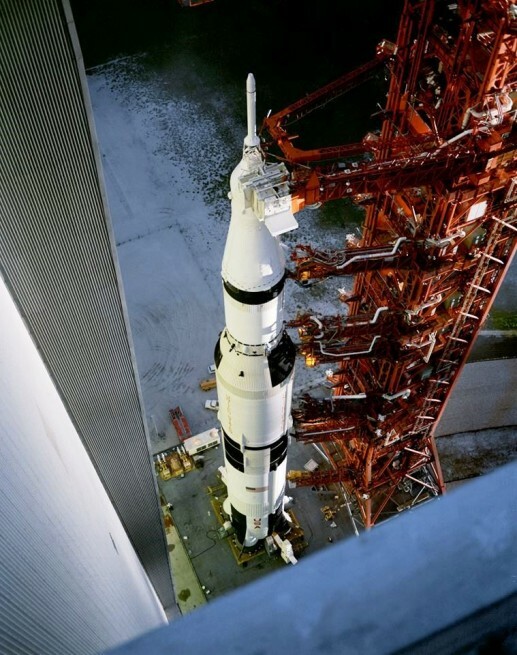 CAPE CANAVERAL, Fla — When Apollo 11 lifted off Kennedy Space Center’s Launch Complex 39A, the voice that was heard was that of John W. (Jack) King, the former head of Public Information at NASA’s Kennedy Space Center. King passed away on June 11, 2015 – he was 84. King, a resident of Cocoa Beach, Florida, was a fixture during key points of the race to the Moon – and beyond. 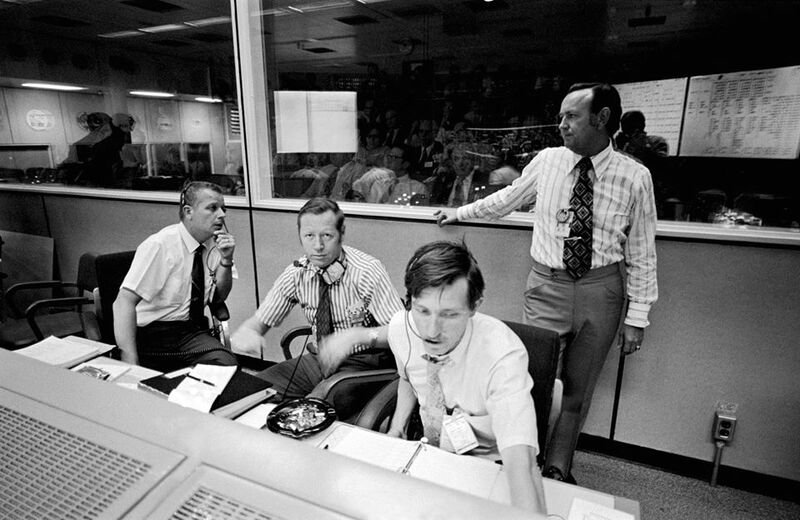 Hugh Harris, himself a well-known spokesperson for the space agency (having provided launch commentary during the Space Shuttle Program), remembered King as the person who was at the forefront of starting communications with the general public during the U.S.’ first manned flights. For his part, King noted that a core portion of what he did during his time with the space agency was to establish the foundation of the policies that the agency uses – to this very day. King was a fixture in and around Kennedy Space Center even after he left NASA in 1975. He returned to the spaceflight business at Kennedy in 1997 as an employee for United Space Alliance (King retired from the firm in 2010). Journalism and public relations were in King’s blood. He was the son of the sports editor for the Associated Press, and was born in the Brighton section of Boston, Massachusetts, in April 1931. He would go on to earn a bachelor’s degree in English from Boston College. Upon graduating, King served his country as a member of the United States Army artillery corps. From 1953 until 1955, he was stationed overseas in Korea and Japan. Once he had completed his time in the U.S. Army, King, like his father, became a journalist with the Associated Press at the organization’s Boston Bureau. With the launch of the Explorer 1 in 1958, King was sent to chronicle the nation’s first steps into the new frontier above our world. Two years later, the Kennedy Space Center’s first Director, Kurt Debus, hired King as NASA’s chief of Public Information. Debus made the decision based on King’s experience while serving as a reporter and the bureau chief for the Associated Press’ Cape Canaveral Bureau from 1958–1959. In 1961, just three weeks after Alan Shepard’s historic flight to space, President John F. Kennedy challenged America to raise the sights of the space program even higher – the Moon. 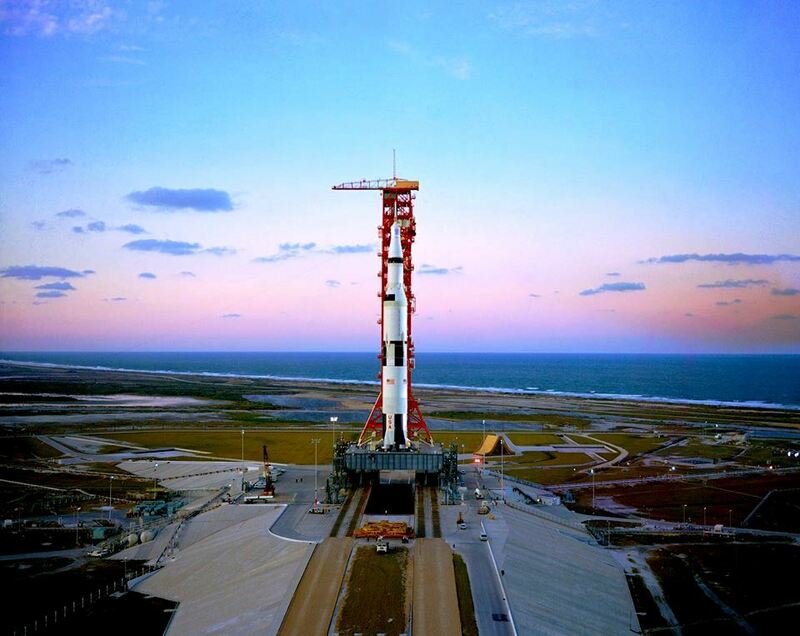 “Right after the Shepard launch is when Kennedy said, let’s go to the Moon,” King said. “After (John) Glenn was launched … Kennedy was at (Cape Canaveral) welcoming him back,” King said. As the nation scrambled to achieve this new goal, King was in the thick of it all. 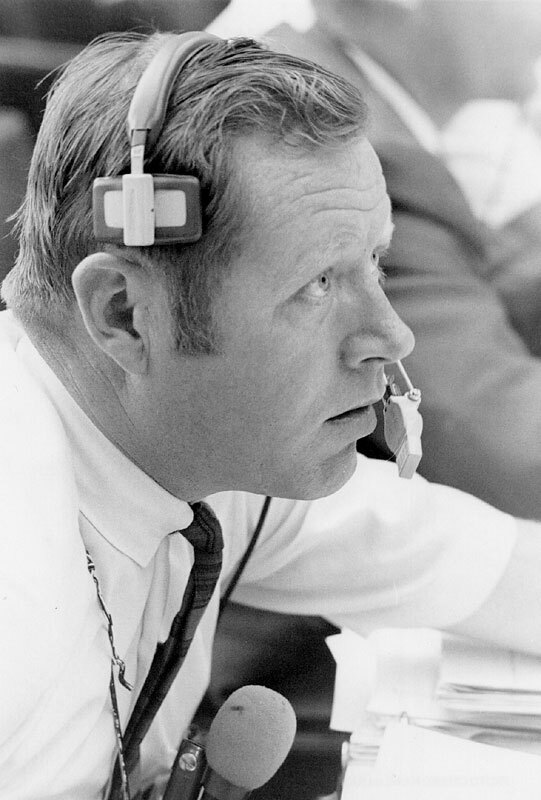 During that time, King was the “voice of launch control” for virtually every human mission from Gemini 4 to Apollo 15. 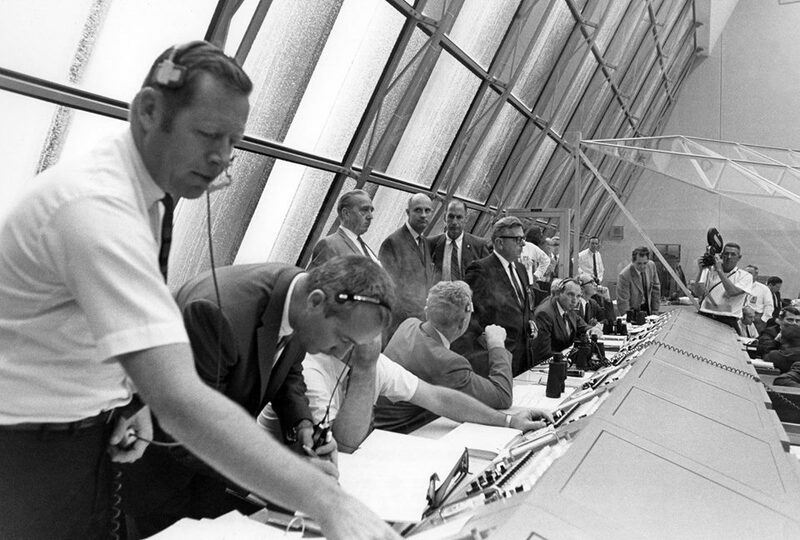 He described countdown events as millions around the world watched the liftoff of the Saturn V rocket that carried the Apollo 11 astronauts to the Moon. 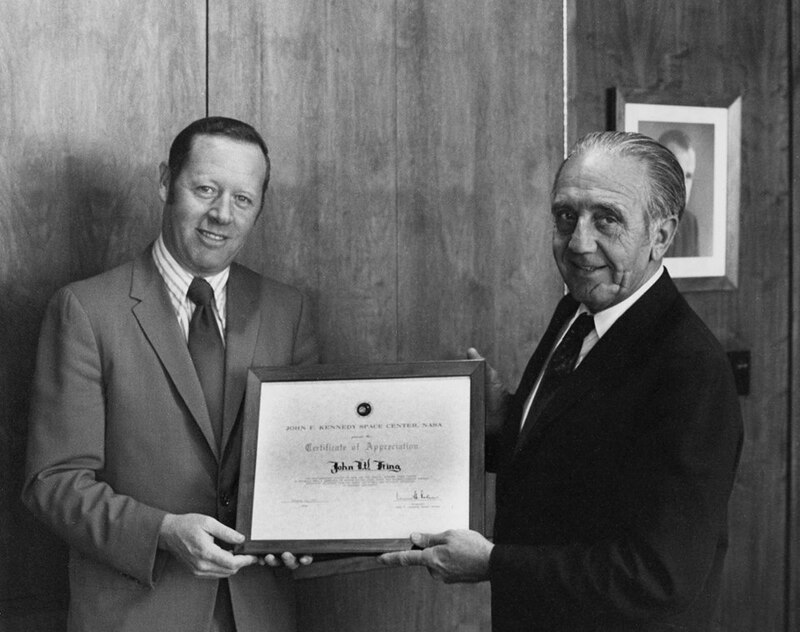 After Apollo 15, King moved on to become the director of Public Affairs at NASA’s Johnson Space Center in Houston, Texas. He brought his skills to use in an ever-widening set of responsibilities including educational outreach, exhibits, and astronaut appearances, as well as intergovernmental and community relations. In the mid seventies, the United States and the Soviet Union began setting out the details of a possible joint mission. King joined a three-member team that negotiated the joint information plan for the Apollo-Soyuz Test Project, or ASTP. The resulting agreement included the first live television coverage of a Russian rocket launch and Soyuz landing at the end of the Russian portion of the flight. After ASTP King moved to Washington, D.C., accepting a position as director of Public Affairs for the Department of Energy Research and Development to build an agency-wide publicity program in solar, fossil, and nuclear energy. In 1977, King stepped away from government service to work in the private sector. He first went to work for Dr. Armand Hammer, chairman of Occidental International Corp. King developed and implemented a wide ranging public affairs program for Dr. Hammer and his firm. He personally attended to the chairman’s speech-writing as well as coordinated media events tied to Dr. Hammer’s extensive travels and philanthropic activities. After Hammer’s death in December 1990, King continued working in public affairs when he served as vice president of Powell Tate, a leading communications and public affairs firm in Washington, DC. There he specialized in defense, space technology, and energy-related issues. King’s tenure in the private sector returned him to Florida and assume the news media relations post at United Space Alliance (USA), NASA’s prime contractor for day-to-day Space Shuttle Program operations. While there, King provided up-to-date information about the program as well as USA operations to media outlets throughout the world. While King might have retired from United Space Alliance in 2010, space remained a deep part of him. 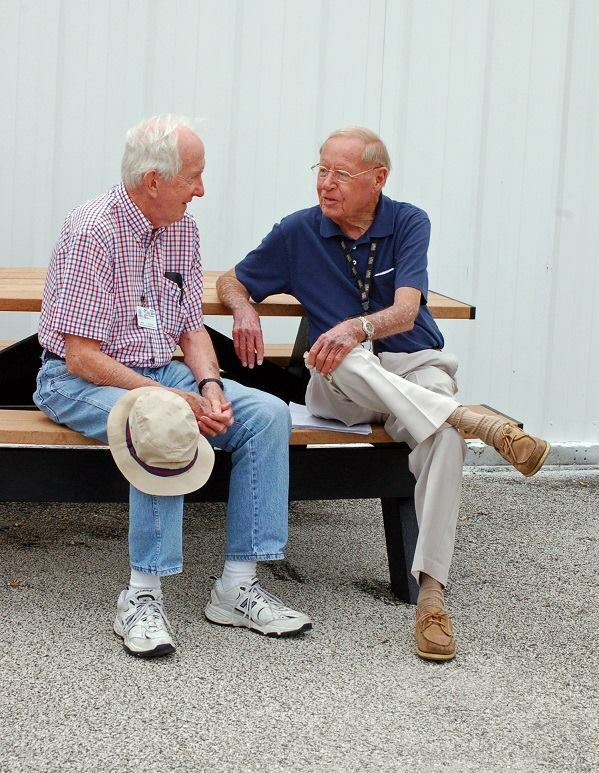 Despite his status, King continued to serve as a NASA public affairs volunteer. Harris noted that King was unable to attend the recent Astronaut Hall of Fame induction ceremony, something that left King disappointed – highlighting the space veteran’s love for the space program. Aeronautics tended to be a family affair in the King household. King’s oldest son Chip flew the longest F-14 Tomcat combat mission in history – some 1,800 mile attack on Afghanistan in 2001, just a month after the September 11 attacks. Chip King was also one of the pilots that participated in the flyover at Pete Conrad’s funeral. King’s invaluable work for the space program was acknowledged many times. He was a two-time recipient of the NASA Exceptional Service Medal. In 1969, he won the Aviation/Space Writers’ Lawrence Award for outstanding U.S. government public information officer. In 2000, he was one of the first two recipients of the Harry Kolcum Memorial News and Communications Award presented by the National Space Club Florida Committee. The latter award recognized the high standards that King held in his journalism and public affairs work. A widower, King and his wife, Evelyn, were married 39 years prior to her death in 2005. They had three children and five grandchildren. For his part, Harris believes that King’s legacy will be two-fold. A few things invented, or which happened, during his lifetime – broadcast television, electronic computers, digital communications, lasers, fiber optics, jet travel, satellites, space travel, anti-rejection drugs for successful organ transplants, antibiotics, antidepressants, antipsychotics, genomics, the pill, nuclear energy, plastics, electronic fuel injection, synthetic paint, fiberglass boats, carbon fiber, plasma cutting and welding, millions of chemicals, hydraulic fracturing, horizontal drilling, eradication of smallpox, polio vaccine, use of titanium, ammonium nitrate explosives in mining, LSD, electron microscope, and a lot more.